Cleveland Browns running back Kareem Hunt will be banned for the first eight games of the 2019 season following an NFL investigation. 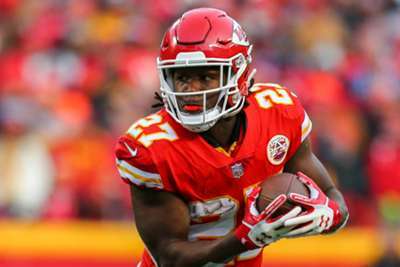 Hunt was the NFL's leading rusher as a rookie in 2017, but he was released by the Kansas City Chiefs in November after the emergence of a video appearing to show him in a violent altercation with a woman. He subsequently joined the Browns, although the team acknowledged the pending investigation at the time and said they did not condone his actions. The NFL announced on Friday that Hunt would be suspended for eight games for violating the league's personal conduct policy, with his agent confirming there would be no appeal. "Hunt has advised the league office that he accepts responsibility for his conduct and the discipline that has been imposed," the NFL said in a release.